As is the case in our neck of the woods, the Fall brings about a drop in the thermometer but a rise in temperatures when it comes to pigskin passion. As is our custom, and because the scope and breadth of the game encompasses both college and professional teams, we split our previews into 2 parts. First up, the youngsters. FLORIDA STATE: There’s an old adage that whenever a squad loses a star, especially one who delivered so many memorable moments, the program sometimes struggles to find its identity (for proof I offer the University of Florida, post-Tim Tebow). At Florida State, Jameis Winston wasn’t just the starting quarterback for two years, he was the man on campus. Despite his many off the field transgressions, in two years Winston lead his team to a national championship and a spot in the sport’s first Final Four before losing to eventual national runner-up Oregon last year. Replacing him is no easy task but there are two leading candidates who could do very nicely, thank you. Sean Maguire was Winston’s backup last year and helmed several important victories, including a win over rival Clemson. But he’s young and had stretches of ineffectiveness. Then there’s the arrival of transfer Everett Golson, former starting QB for Notre Dame. Golson possesses big time experience (37 TDs and over 3400 yards passing for the Irish) but is prone to turnovers. Still the smart money is on the transplant from Indiana and if he can produce, the strengths the team has elsewhere, including a ferocious defense, as well as outstanding offensive playmakers, coupled with a meh schedule, could land the Seminoles back in their sport’s Final Four yet again. 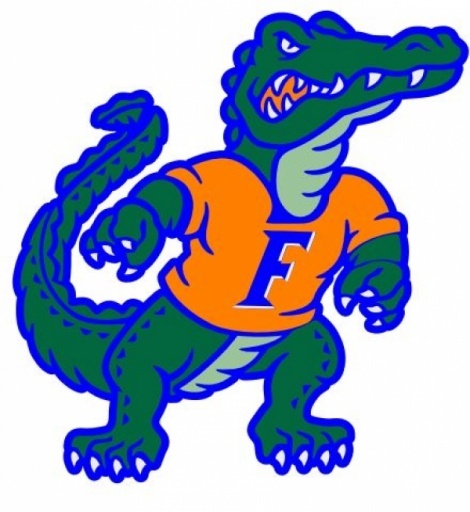 FLORIDA: For Gator fans, 2015 promises a new beginning under new head coach Jim McElwain, hired from Colorado State in the wake of the Will Muschamp fiasco. He has solid experience, both from his time in the Mountain West, as well as his tenure when he served as offensive coordinator under Nick Saban at Alabama. But for UF the deal is quite simple: can they score? An offense so putrid that at times, it had its fans reaching for Maalox instead of Jack Daniels, will have to score some points to take the pressure off its solid, but thin, defensive unit. Question marks remain at linebacker, the offensive line and, especially, quarterback but if things go well, even with a rugged SEC schedule, Florida could surprise. Otherwise, it’s back, to hoping for .500 finish and a return visit to the Birmingham Bowl. MIAMI: Canes head coach Al Golden has a very simple edict: win or you’re gone. And by win we don’t mean 7 wins and a trip to Shreveport, Louisiana. No, this proud program demands more and the talent is apparently there; the fact 7 players were drafted from last year’s sub-.500 team show there’s a disconnect which must be identified. QB Brad Kaaya is, arguably, the most accomplished signal caller in the state, and he has offensive talent to help him. Yet for the Canes, the questions will be on defense, and whether they can hold opponents so their explosive offense can do its job. If so, UM could be headed back to a January Bowl; if not, a new coach will be hired. So college sports fans, that’s a look at it. Here’s hoping your squad succeeds - or at least, entertains. Let’s strap ‘em up!